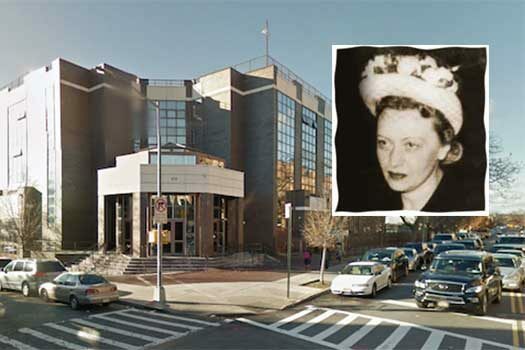 New York City Council voted on a bill Wednesday, May 24th to co-name Lefferts Avenue between Brooklyn and New York avenues “Rebbetzin Chaya Mushka, Schneerson Square.” Campus Chomesh, named for the Rebbe’s wife and is part of the flagship Beth Rivkah girls school, sits on the corner of Lefferts Avenue. The idea to co-name Lefferts Avenue was originally suggested by Rabbi Abraham Shemtov, chairman of Beth Rivkah’s board. Mayor De Blasio will sign the bill into law in the coming weeks. The new sign is expected to be installed before Beth Rivkah’s upcoming dinner. 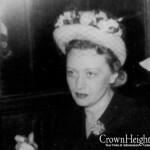 The bill alludes to the selfless dedication of Rebbetzin Chaya Mushka to help others under both Soviet and Nazi rule, and later helped her husband during his time as Rebbe of the global Chabad-Lubavitch movement. 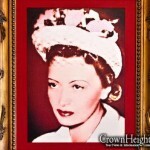 Since her passing in 1988, she has become the namesake of thousands of Jewish girls worldwide. Her legacy is perpetuated by the campus’s alumni, which number tens of thousands, who are dedicated to a life of Jewish outreach. Wasn’t the Rebbe AGAINST naming streets in CH like this??? Why are we wasting political favors on Chitzoniyus like this? whats with the 7 payrolls owed to the teachers? How about 8 going on 9!! WHAT DINNER? The one they made me pay for 30 years ago which never happened? Even though I moved out of CH can I retroactively reserve 2 seats? And how will this nonsense help pay the teachers salary?! i heard tuition is going up this year. is this true? Absolutely. The board will break the backs of the middle working class. When I was Chairman of Community Board 9 , in th1980’s , a group of Chassidim approached me to rename the Service road in front of 770 to the ” Rabbi Joseph I Schneerson ” road . 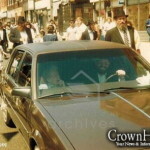 I told them that before I undertook this project , I would have to ask the Rebbe as this is the Street in front of 770 which included his office . Under instructions , Rabbi Hodakov called me to instruct me NOT to do it . Clearly the Rebbe was against such a project . Why didn” someone ask before it was done !!!!!!!!! is out of place and respect should be where it is due. The Rebbetzin deserves our respect and these words not to be used. You are no longer Chairman, Please move on. Shemtov, enough grand standing! Pay the teachers and we will applaud you. Yes. I agree that this is nonsense. Bais Rivkah is going through a major crisis – and all the Chairman of the school can think about is naming the street after the Rebbtzein?! The Rebbetzen would want you to pay the teachers and not to “Lig” in these “Narishkayten” in “her honor”! !